(HealthDay)—Healthy eating may help preserve your vision as you age, eye experts say. Age-related macular degeneration (AMD) damages the macula (a small area near the center of the retina, located on the inside back layer of the eye), leading to a decline in central vision. There is no cure for AMD, which affects about 10 million Americans. It's the leading cause of vision loss in adults aged 50 and older. Along with age, smoking and family history, a poor diet is a major risk factor for AMD. "Patients who eat high-fat, high-cholesterol diets have a higher risk of developing macular degeneration, as opposed to people who eat green leafy vegetables, fruits, and foods high in antioxidants," said Dr. Malav Joshi, an ophthalmologist at the Krieger Eye Institute in Baltimore. A heart-healthy diet of fruits and vegetables and fish high in omega-3 fatty acids is generally recommended for good overall eye health. But this type of diet is especially important for people with a family history of AMD, according to Dr. Nancy Kunjukunju, an ophthalmologist at Krieger. "Good cardiovascular health leads to good eye health," Kunjukunju said in a LifeBridge Health news release. "If you take care of yourself in terms of your cholesterol and everything else, your body does better, your eyes do better." 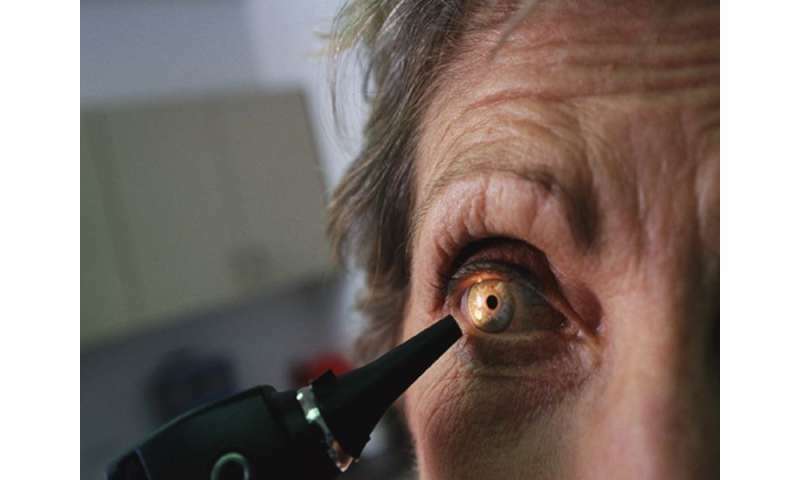 More information: The U.S. National Eye Institute has more on age-related macular degeneration.